Your baby's skin is only half as thick as an adult's skin. A newborn baby's skin is only half the thickness of an adult's skin — so thin and delicate. A newly wet diaper might seem to have absorbed the pee immediately, but it's surprisingly still moist in there. Remember that babies sweat twice as much as adults*2, thus the pee and poo can irritate the baby's moist and sweaty skin, causing diaper rash. Stuffiness and moisture makes the skin soggy, which is a cause of diaper rash. Breathability that removes moisture and stuffiness is so important! The mesh reduces the skin contact area by half, expelling moisture and stuffiness through the gaps between the diaper and skin. The recessed areas of the soft sheet effectively trap the soft poo and prevent it from dispersing. Stays in place even when baby kicks! 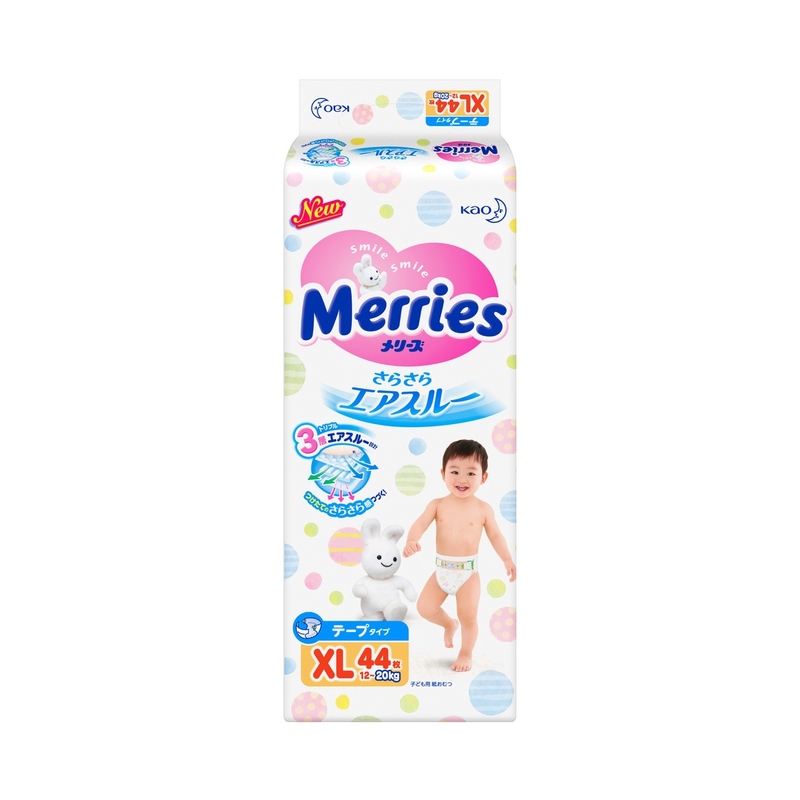 The polymers in Merries diapers can absorb up to 200 - 300 times the weight of fluid relative to its weight. There are five different designs with one design in each pack.